OMG I hate filming in the heat. It makes a pretty simple video into a job equivalent to running a marathon. Seriously, I filmed this 3 times, had to go back to film more footage & found that it was corrupted a bunch of times. Anyhoo, what I filmed was my top 10 summer beauty products. Beauty formulas body & face cooling mist. 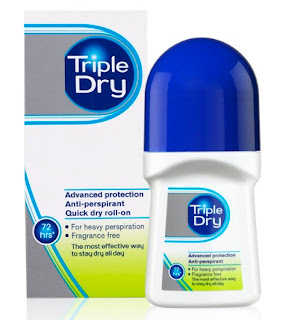 This stuff is like the mascot of summer, summer holidays & heatwaves for as long as I can remember. The Roques O'Neil Therapie Restore Aura Spray. OMG I love this stuff soooooo much, it's amazing. And it's also very refreshing. Urban Decay all nighter setting spray. Does exactly what it is says on the tin. I know matte skin for summer is considered a little weird but I love it. Matte foundations stay in place so much better than dewy foundations + you don't look quite as sweaty looking when you do sweat. Which you will because this summer is very, very hot. This No7 matte foundation is lovely. Mac Strobe Cream. It's an all year staple for me & by far my favourite highlighter. In summer however I love a beautiful, well placed glow & this is what I use. Blotting papers. It doesn't have to be these ones specifically but blotting papers for sweaty summer months are a must. A really strong anti-perspirant. Which ever one works for you. Tinted lipbalm. The burts bees one if it works for you (the colour range is very good) but it doesn't work for me. I like the Yes to carrots ones. I like all the shades & I find them to be moisturising with great colour pay-off.